The human borderline and the non borderline dilemma. What does that mean? Why would I phrase this like this you may wonder? I can't count the number of times I've listened to non borderline clients I life coach or read non borderlines emails where, in their understandable pain and confusion, family members, loved ones, relationship partners of those with BPD - non borderlines - make statements that question the reality of those with Borderline Personality Disorder being human or not. Too many, based upon their painful experiences, come to the conclusion that those with BPD are not even human. As much as I can understand and really do have empathy and compassion for those who have been hurt (as I was myself) by someone with Borderline Personality Disorder (BPD), I do not feel that it is at all helpful to question the reality of anyone with any personality disorder or BPD specifically being human or not. There can be no understanding of the true nature of this most puzzling and painful disorder by anyone if they don't acknowledge the very real and very human struggle that BPD entails. BPD in all its presentation is about feeling more in the human condition than is actually healthy for anyone to feel. 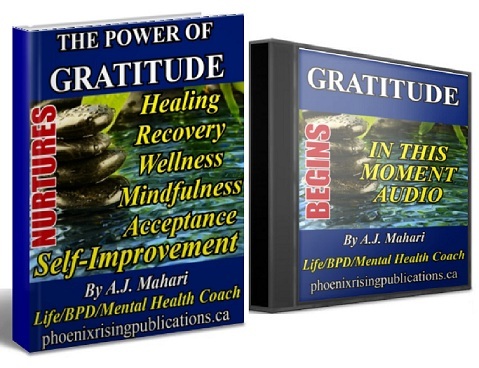 There is no doubt that regardless of how much a borderline feels and how very truly human they are that (most active) Borderlines do not have the capacity to feel or actually know the pain they are inflicting upon others a great deal of the time. The dissociative nature of BPD - the black-and-white, all-or-nothing thinking of BPD - splits the reality of "other" from the reality of "the quested for self" in the absence of any real "self". It is the absence of any real and understood "self" that leaves the Borderline cut off, if you will, from the pain of his or her past core wound of abandonment that is being inflicted upon and experienced by others as a direct result (often) of the choices, actions, and the emotional dysregulation of the Borderline. This is not "un-human" however. It is, in fact, a more powerful example of the vulnerability of a wounded human being. A wounded human being that many loved ones and ex or relationship partners of those with BPD - non borderlines - then are also tremdously wounded by in ways that leave them needing Break Free of The Maze of BPD to find their own recovery. Life, for anyone, with BPD or not, is a journey of continued self discovery. The difference between those who do not have BPD is that they begin this journey with a more measured and understood idea of "self". Unlike those with BPD, who, for whatever cluster of causative factors, find themselves on this journey in life without a sense or understanding of "self". It is this lack of "self", as I often write about, that leaves the non borderline and the borderline living in parallel worlds of parallel experience. The parallel experience of the non borderline is often a very painful crazy-making dilemma on the other side of BPD where healthy love given and sought in return instead produces a toxic relationship experience that creates the puzzle and mystery of hope on the other side of BPP that essentially traps non borderlines in their own desire and seeming need to understand things that originate from and make sense only inside the borderline mind It is from this major difference that the Borderline World and non borderline Worlds are destined to continuously collide in agonizingly painful ways. 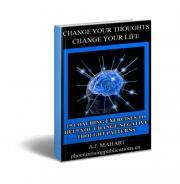 Borderlines, in trying to find out who they really are and what that means, through a variety of psychological defenses, end up relating to non borderlines in ways that are defined by their very nature as unhealthy and dysfunctional to the point of being toxic. Borderlines, whether they know it or not, and whether they are quiet acting-in borderlines or the more typical raging acting out borderlines share in common a psychological woundedness of epic proportions that leave them with not only the core wound of abandonment but also with a lion-share of rage. 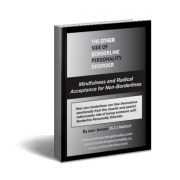 If the non-borderline slides too far into the borderline's "world" or style of relating, the non borderline begins to lose his or her healthy and functional perspective and judgment. When this happens, the pain only increases because the non borderline begins to experience what the borderline already knows -- a void of "self", an abyss where "self" should be. It is a profound lostness. A profoundly painful place to be. It is a place that leaves anyone who ends up there, whether briefly or for a lifetime, very angry and very hurt. The ego is the psychological focus of each individual as they experience daily human life. It is a reservoir containing all the experience the individual has gained through his or her various experiences. In those with BPD, the ego is not healthy. It is split. 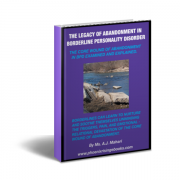 Its experience of life is distorted by past abandoned pain - the pain of unresolved abandonment and the on-going impact of that abandonment that has been and continues to be, for the borderline, a life shaping loss and/or the perception of said. An on-going life-shaping loss that truly does preclude healthy emotional intimacy and that perpetuates the shame of abandonment that keep alive all of the borderline's fear of abandonment. So, when the non borderline tries to relate to a borderline from a place of relative health, and in the here and now, the borderline tries to relate back but is lacking in the health required to do so and is more often than not relating from the past and projecting that past experience on to any relationship unfolding in the here and now. This is not un-human. It is the reality of this personality disorder. It is about the inability to resolve old and recapitulating wounds to the psyche. It is in some ways even more an example of humanity at its most emotionally or psychologically vulnerable. Borderline Personality Disorder is every human times hundreds. That is what makes it so intense, so unstable, so confusing, often seemingly-complicated and above all for non borderlines and borderlines alike, painful and often crazy-making. When we ask: "What does it mean to be human?" clearly, the answer can be found in the choices we make as individuals. The alignment of the mind will determine what the ultimate fruit of a choice will be. This is equally true for those with or without BPD. Those with BPD, who have not identified the lost authentic self often find choices hard to acknowledge, let alone exercise. Many with BPD feel constantly victimized by what has happened to them in the past or how they perceive their unresolved pasts. Without the ability to make age-appropriate choices, borderlines can often look to others to make choices for them and in essence, take care of them, or re-parent and then be angry and feel victimized by the choices that that someone else made. 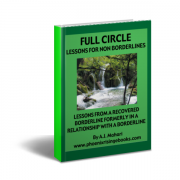 It is not uncommon that when a non borderline finds themselves in this role in a relationship with a borderline, that the minute they try to help or to take care of the borderline or make a choice for the borderline this is railed against by the borderline. Borderline Personality Disorder is "no-win" proposition. "No-win for those with it (until and unless they get adequate help and find themselves) and a no-win proposition for the unsuspecting non borderline as well. 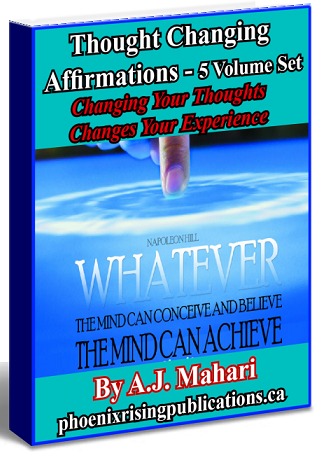 We are all evolving entities, growing, gaining experience through ongoing challenges and lessons interdispersed by periods of rest or realization and further growth -- the scope and consequences of our actions are indicative of our mental health, or lack thereof. They are not indicative in any way when it comes to defining who is and who isn't human. We are all human whether we relate well or not to others. It is essential for non borderlines to realize that borderline behaviour, is just that, behaviour. While it is more than challenging through your pain, I understand, it is vital to your wellness that you make the distinction between behaviour and a person's humanness. If you hold to an angry and/or hurt position of thinking the borderline in, or who was in your life, less than human, you may not realize it, but you limit your own ability to heal. That type of thinking can and will, over time, compromise your own values and your own ability to have compassion and to forgive. Compassion and forgiveness are not always as much for the person we may think they are. They are often much more about you. About you, the non borderline, being able to heal and find your way back to who you thought you were or find your way, in fact, to who it is that you still need to find out you really are. Do not surrender your "self" to the borderline. The borderline can only be helped by finding his or her own "self" in and through their own process. If you are being hurt or have been hurt by a borderline, take care of yourself, accept your loss, grieve and move on. Rather than concerning yourself with what often appears to be a lack of feeling displayed by a borderline who seems to just move on, please understand, this is not the case. Borderlines in some ways just jump to the next disaster in their lives, relationally speaking. This is not "moving on". It is remaining caught up in the troubling, agonizing, self-denying web that borderline personality is and will continue to be until each borderline breaks the hold of this personality disorder by making new choices and ending old patterns of destructive behaviour. These "Old" yet endlessly repeated patterns of behaviour in BPD, while in the past meant survival for the borderline, they now mean the annihilation of relationships and the continued annihilation of the lost authentic self in each and every borderline (in the active throes of this disorder) that is gasping for the emotional air of understanding to be able to emerge and resolve the legacy of abanonment - a legacy that is one of a lost self. The human borderline leaves the bpd family members or loved ones with a reality that is both painful and tragic, more often than not. 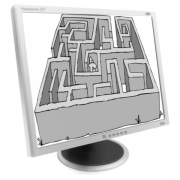 The bpd family/bpd loved one often must find a way to Break Free of the Maze of BPD and find uncover and discover his or her own recovery through the facing of the grief and learning of precious life lessons of unrequited love and the letting go of that very real love that he or she had or even may still have for someone with Borderline Personality Disorder. It is important to realize that we, as human beings, are all pilgrims together on a journey through eternity. Experienced pain and loss through time becomes an ally, if and when it is acknowledged and faced. The borderline is not your enemy unless you allow them to be. If you have Borderline Personality Disorder, you do not have to be your own worst enemy either, unless you continue to choose to be. A.J. 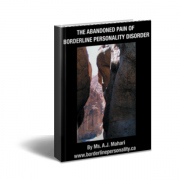 Mahari is currently writing a memoir about her life and experience as a person who had two parents with Borderline Personality Disorder, as a person who was diagnosed herself with BPD at the age of 19 and from her perspective as someone who has recovered from BPD. There is a new section on her BPD Blog called The Diary - My Borderline Years where A.J. Mahari shares snipets of experience from her own life that is will give you just a taste of what her memoir will include. 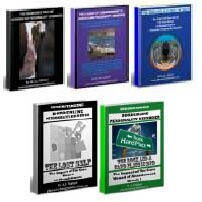 Non Borderlines - You can purchase 6 ebooks packaged together with or without audio. 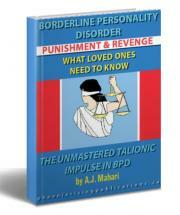 Those with BPD and/or Non Borderlines can purchase A.J. 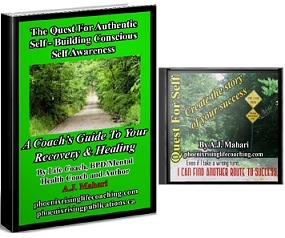 Mahari's 3 "Core Wound of Abandonment" series ebooks packaged together with or without audio. No reproduction in whole or in part without the written consent of A.J. Mahari. To seek permission to re-produce anything on this site or to link anything on this site please email me at bpdinsideout(at)yahoo.ca - I do not give my consent for anything I've written to be re-produced on any other website without my expressed permission. 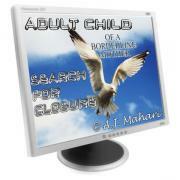 If you wish to link to an article I've written please link directly to the article page on this site - thanks so much! Copyright © A.J. Mahari 1995-2016. All Rights Reserved. Designed ©A.J. MAHARI 1995-2016. All rights reserved.